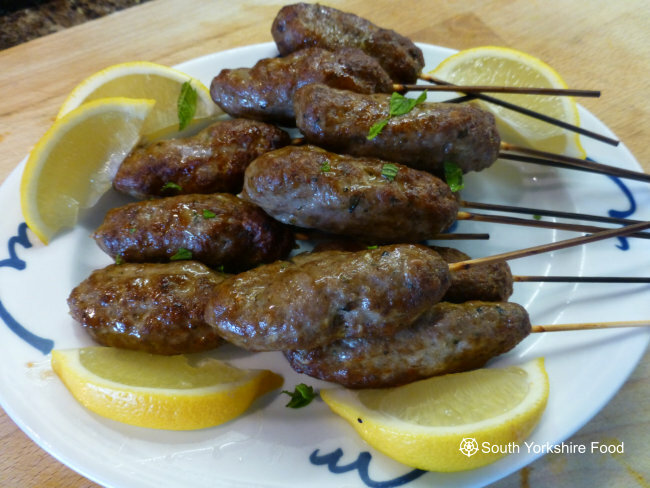 I love these koftas! They are best grilled on a charcoal barbecue, but a hot grill or griddle pan can be used instead. Soak some bamboo skewers in water, for a couple of hours. This will stop them catching fire when you grill them. Mix all the ingredients together, ensuring that everything is evenly mixed, and leave in the fridge for a couple of hours to let the flavour develop. With wet hands divide the mixture into 12 'sausages' (roughly 40g each) and insert a bamboo skewer into each one. These are best cooked on a charcoal barbeque, but a hot grill or griddle pan can be used instead.